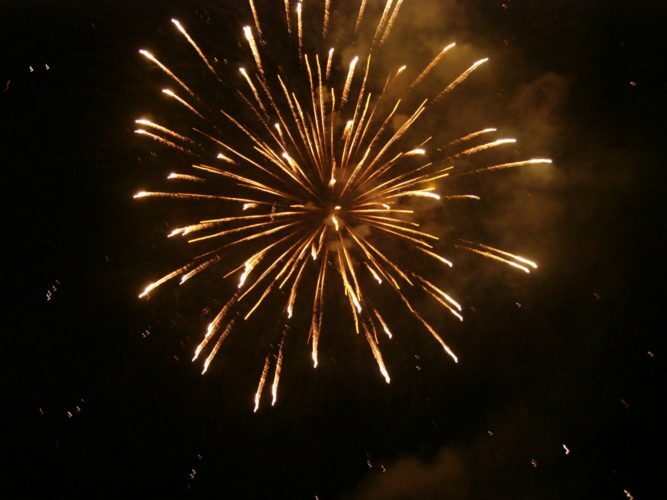 These fun activities help to make New Year's Eve a family affair. If your days of bar hopping or hosting a wild and crazy New Year’s Eve party are behind you, fear not. From games to countdowns, there are tons of awesome ways to celebrate at home with your kids. You won’t wake up with a headache the next day and you’ll get a “thumbs-up” from your family for planning a fun night. 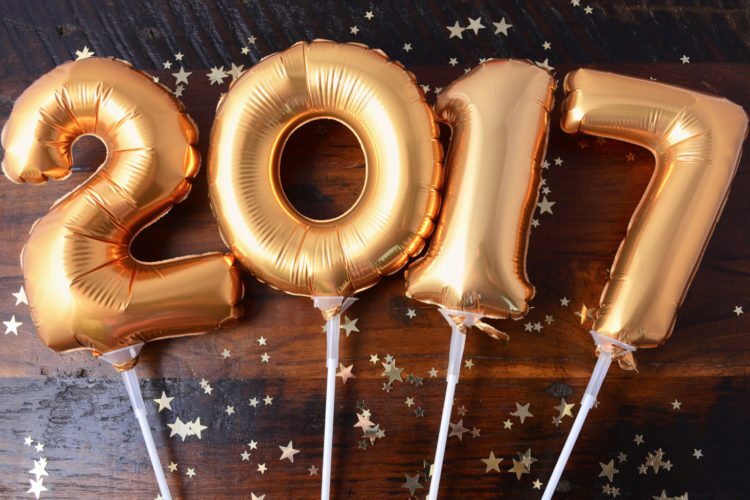 Here are a few of our favorite ways to have a cozy and fun New Year’s Eve at home with your little ones. You’ve been making memories all year long, why not spend the evening reviewing them? 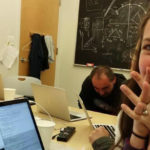 This fun year-in-review scavenger hunt from Allison McDonald, the brains behind the blog No Time For Flash Cards, will keep your kids on their feet. Print out photos from your favorite 2016 memories. 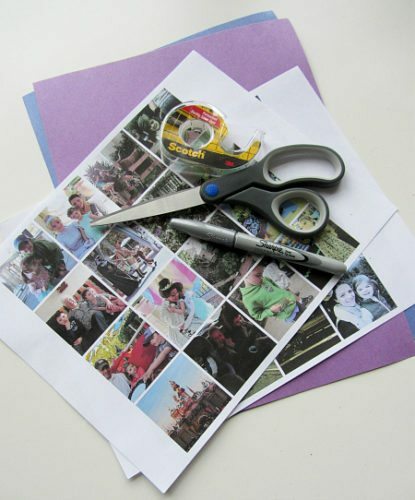 Attach each photo to a piece of construction paper that’s slightly larger than the picture. On the back of the paper, write the approximate date of the memory. Hide the photos and send out your search parties. Once your children have completed the scavenger hunt, have them organize the photos chronologically. Talk about each memory and which months of the year were the most memorable. Make New Year’s Eve exciting by hanging countdown balloons for your kids to pop as midnight draws near. Write or print a fun activity on a strip of paper for each half hour. Roll up each piece of paper, then slide it carefully into a deflated balloon. 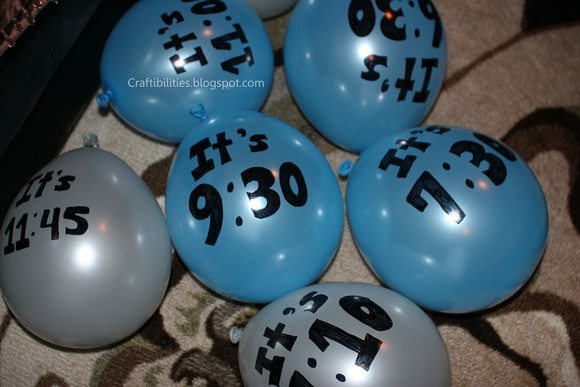 Blow up the balloon and use a sharpie to write a time on it. When the time on each balloon rolls around, let your children pop the corresponding balloon. Then, complete the activity specified on the strip of paper. The blog Craftibilities suggests activities such as making cupcakes or paint t-shirts with glow-in-the-dark paint. 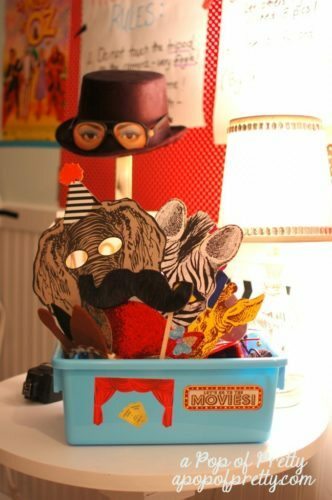 Help your kids with these DIY noisemakers they can use to ring in the New Year. It’s also a good way to use up your leftover holiday plates. To start, paint one side of each paper plate with a fun color. You’ll need two plates for each shaker, says Tonya Staab from The Centsible Life. Once the plates are dry, glue chipboard numbers or cut-outs in the shape of 2016 on one plate. 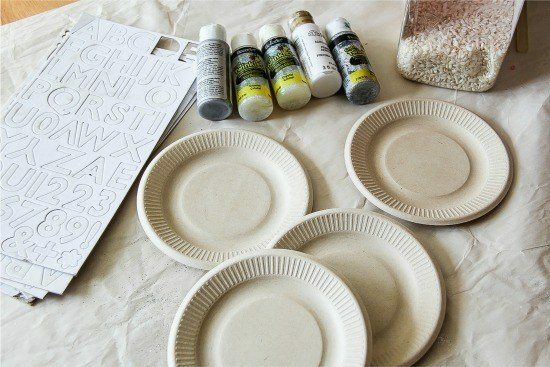 Use hot glue to attach a wooden stick to the bottom of one plate. Pour enough rice onto the bottom of the plate to cover it. Hot glue the two plates and press the edges together. Feel free to add glitter, bows and other decorations to spice up your shakers! This is a fun, quiet activity that can become an annual tradition. Have your kids fill out a New Year’s time capsule questionnaire (or help them! ), like this printable version from Annette Belnap at Pretty Providence. 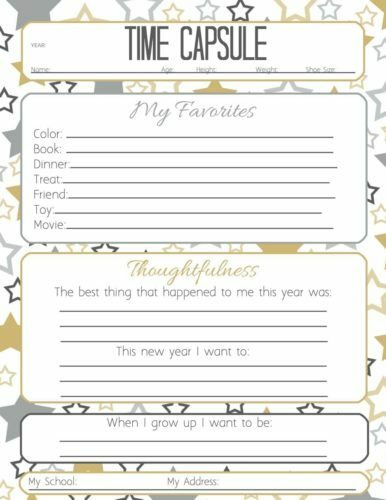 The questionnaire asks your kids to write down their favorite color, book, dinner, treat, friend, toy and other fun facts from 2016. Stash these away and open them next year. It will be a blast to look back and see how much has changed—or hasn’t—in one year. Your kids will feel super fancy drinking this sparkling cotton candy drink. It has just two ingredients: Cotton candy and sparkling water. Fill a glass with cotton candy. 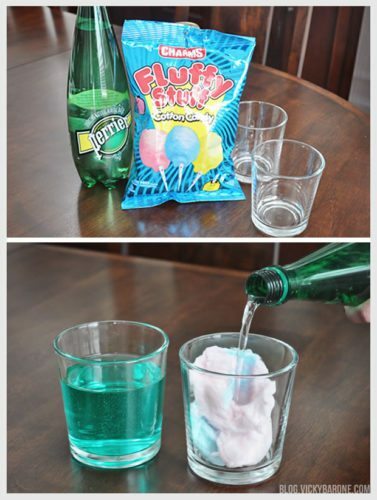 Slowly pour the sparkling water over the cotton candy and watch as it dissolves and changes colors. 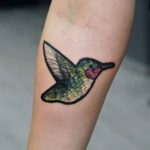 On her blog, Vicky Barone recommends using green and blue cotton candy for the best results. If your children are too young to make it to midnight, throw a “Noon” Year’s Eve party and celebrate in the afternoon. You can also celebrate the New Year when it arrives in a different time zone. For example, celebrate when it turns midnight in London or New York. Though this one works for pretty much any occasion, it’s particularly appropriate for making memories on New Year’s Eve. Snag some fun 2016 glasses, feather boas and fake mustaches from a party supply store. Get out a few pieces from past Halloween costumes. Then, hang brightly colored paper on the wall to make a fun background. Kerri Roche, who runs the blog A Pop of Pretty suggests using a plastic tablecloth from a dollar store. Snap photos on your iPhone or set up a camera on a tripod with a self-timer. Snap away! Happy 2017 gold New Year Balloons with glitter stars on dark wood table background.